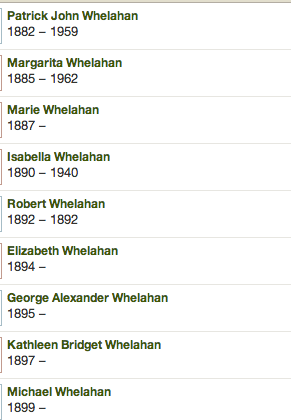 Our branche of the Whelahan CLAN are from the lovely west and north coasts of Ireland. 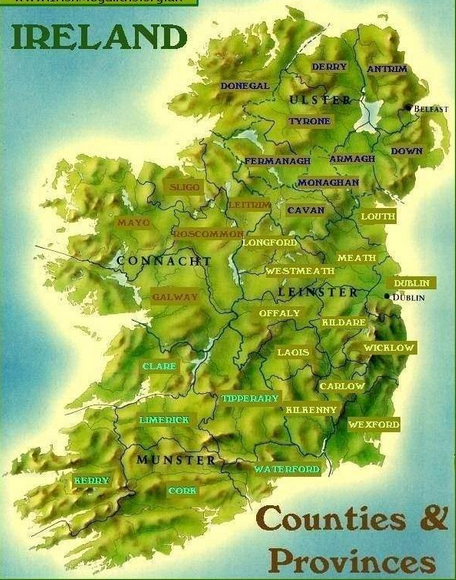 Map of Ireland showing counties May, Rosscommon, Sligo and Fermanagh, all connected with our family history. The Stantons, Madigans and Whelahans were from Mayo, Rosscommon, Fermanagh and neighbouring counties. Patrick Whelaghan was described as a Crofter on his son Patrick’s Death Certificate in 1882. We approximate his birth as circa 1795. His wife was called Annie Coyne. Their children would have many many. Three of their children survived and found themselves in Scotland, Thomas and Peter in the Lanarkshire area and Patrick who had also worked in the Iron industry there eventually moved over to Edinburgh. Peter married Agnes Duffy and they settled in Glasgow. Peter worked as a furnaceman at an Iron Works. 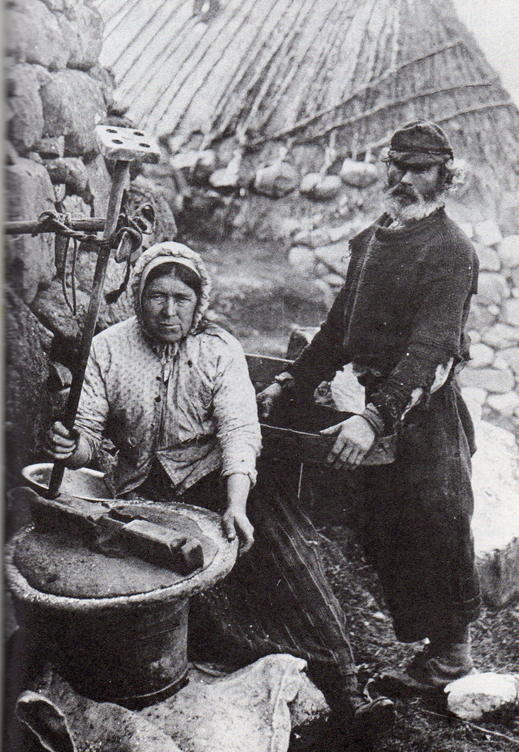 Patrick had married Bridget McDonald, daughter of Thomas McDonald and Mary Kelly. Their son Michael was born in Ireland in 1854. As the famine progressed they uprooted and moved to Edinburgh. Many of their issue died as infants in the disgraceful living conditions of Edinburgh at that time. 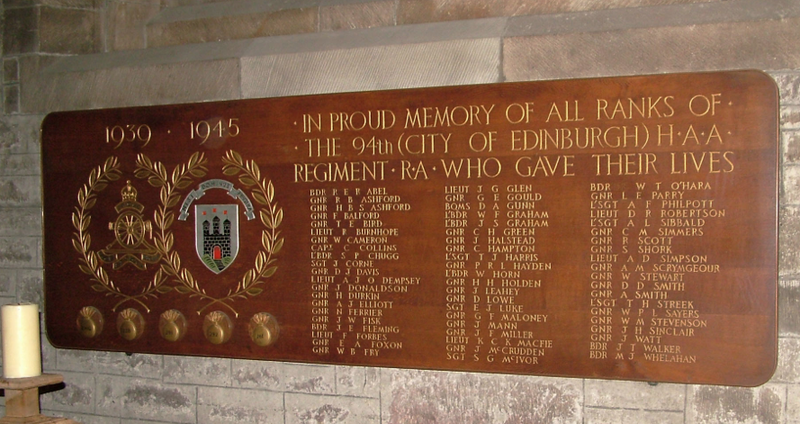 However two of their surviving children would play a part of the history of Edinburgh and one of their football clubs. They were Michael Joseph and Maria. Michael part in the history of Edinburgh was that he was the very First Captain of the Irish Hibernian Football Club. His sister Maria married Andrew Stanton. This Stanton surname will always be associated with the history of the club and his descendants are still actively involved in the club today. They were married by Edward J. Cannon who was the Priest and who helped found the Irish youth into the Club it became and he gave the men an interest away from the harsh reality of life in the slums of auld Edinburgh at this time. Patrick and the family moved to a tenement in the Old College Wynd which street climbed from the Grassmarket to the gates of the Old University of Edinburgh. 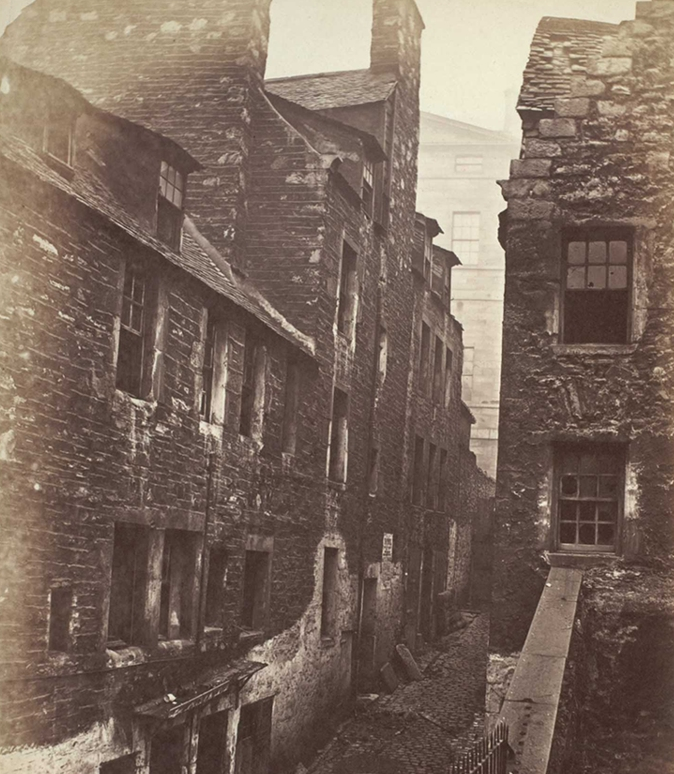 College Wynd was a damp, dimly lit alleyway with poor sanitation and little fresh air. Such unhealthy living conditions contributed to the high mortality rate of children being brought up here at the time. This was a far cry indeed from the green fields of Ireland. The Stanton family also lived in No. 5 College Wynd. It was here that on 1st November 1871 Edward Stanton was born. 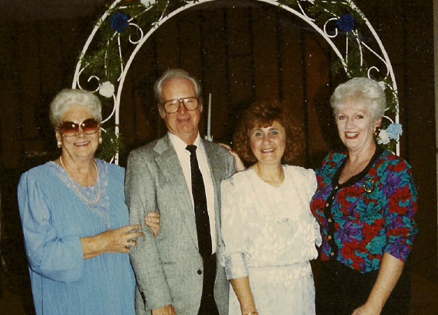 The connections between the Whelahan and Stanton families may have started here. Michael Joseph Whelahan was born in Kinglass, County Rosscommon, Ireland in 1854. After he moved to Scotland he was brought up in what was known as the Parish of Little Ireland in Edinburgh, the area of St. Patrick’s Church in the Cowgate. 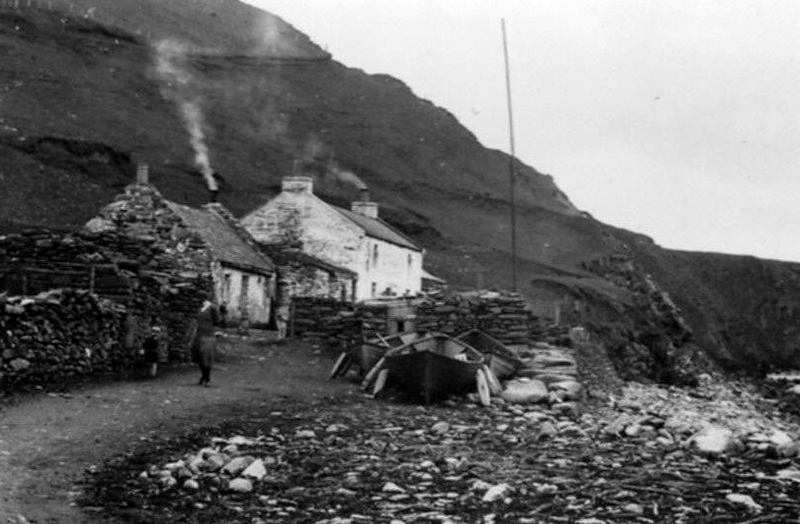 Thousands of Irish immigrants were living in this slum area at the time of the great famine. There was a local Catholic school where Catholic children, mainly children under the age of 10 would have attended. Michael Joseph Whelahan would have been brought up in the Cowgate. He would have been neighbours with the Stanton family and also with the Connolly family who had emigrated at the same time. On 5th June 1868 an Irish Freedom Fighter was also born in the same slums in No. 107 The Cowgate. Although Michael would have been a bit older than James Connolly their families would have attended the same St. Patrick’s Church and involved in the same interests, including the football, at the time. 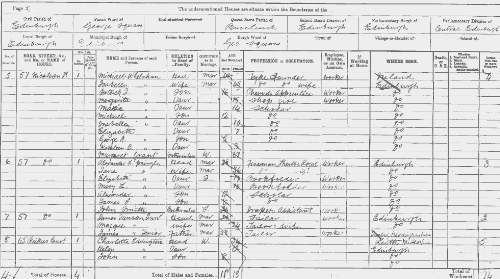 Michael married Isabella Robertson in St. Patrick’s Church, Cowgate in Edinburgh on 26th July 1883 They were married by Father Edward J Cannon. You can see below their children came along one by one. 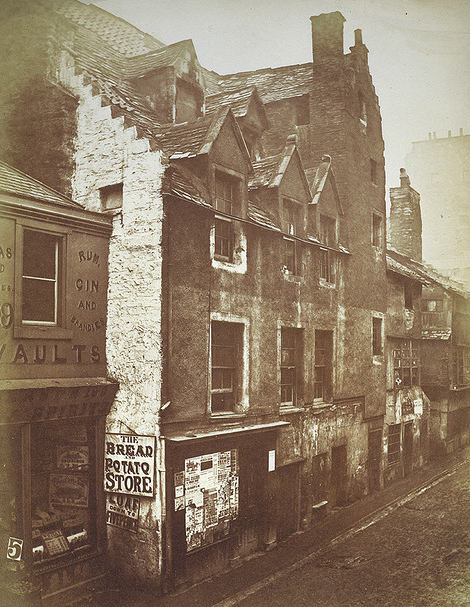 The family moved from 21 Cowgate to an address in the Southside of Edinburgh, 57 Nicolson Street. 57 Nicolson Street was also the address that Michael Stanton, the son of Andrew Stanton died in the year 1939. 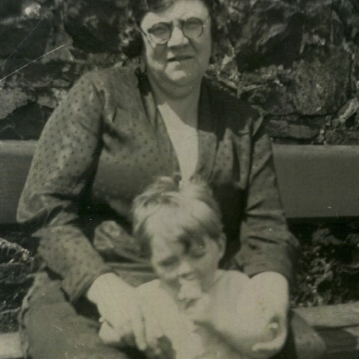 It was daughter Margarita Whelahan who was born in the Cowgate in 1886 who married James Devlin, also of course of Irish descent, on September 19th 1919 in St. Patrick’s Church. 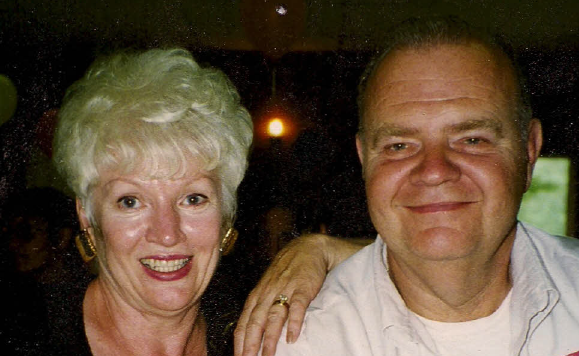 Margarita had found employment as a bookkeeper and James was a Grocer and Wine Merchant. She was a beautiful lady as the photograph below shows us. Proudly she sits with her large family around her. The first is all the Devlin children minus the oldest, Patrick, who died around aged 2. 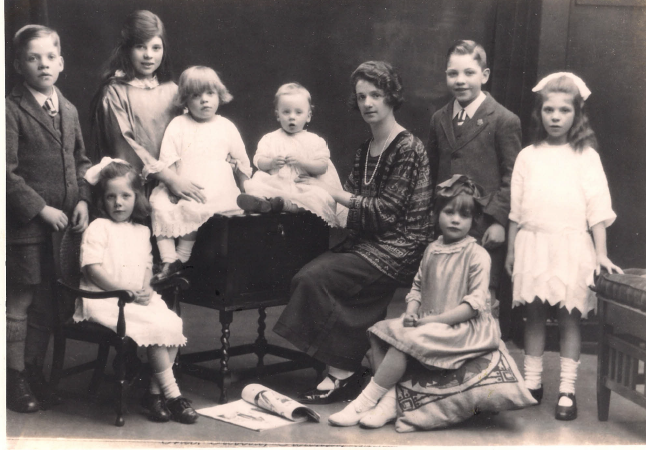 Back row standing left to right, James Devlin, Eileen Devlin (the oldest and my Mum), baby Sheila Devlin, baby George Devlin, Auntie Katie Harkins seated, Michael Devlin, and Marie Devlin. 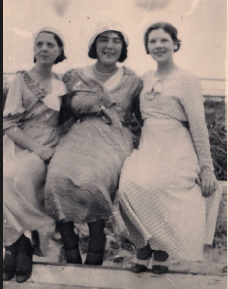 Seated in front, left to right, Kathleen Devlin, Doreen Devlin. 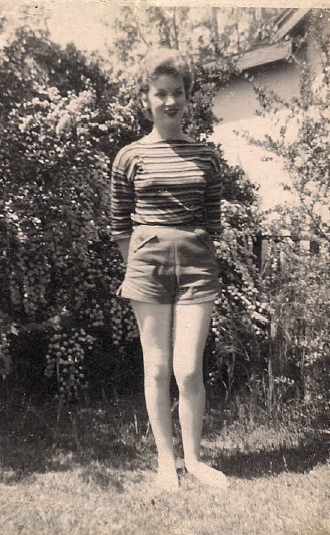 My mother, Eileen, was born 1912 so you can approximate the age of the picture from that. She had hair she could sit on, but her first job was age 14 and she had it cut off in a bob with her first pay packet. So I figure the picture is 1926ish. Auntie Katie Harkins was a relative of Margarita Whelahan’s husband, James Devlin. The Harkins had a Catholic religious store there in Edinburgh, which we visited in 1982 when I was last back there with my mother, and she met up with a male cousin there. Doreen Devlin married John Connolly (James Connolly’s brother who married her sister). Eileen Devlin was born in 1912. She married John Ross in 1933. 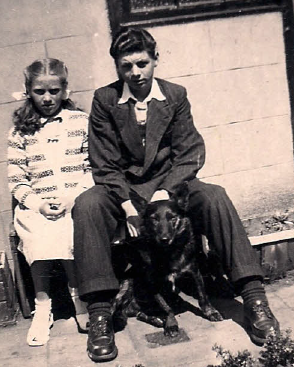 Two children Michael Ross 1934 and Maureen Ross born 1940. This branch left Scotland for California in 1952 and Maureen is the lady mentioned above. 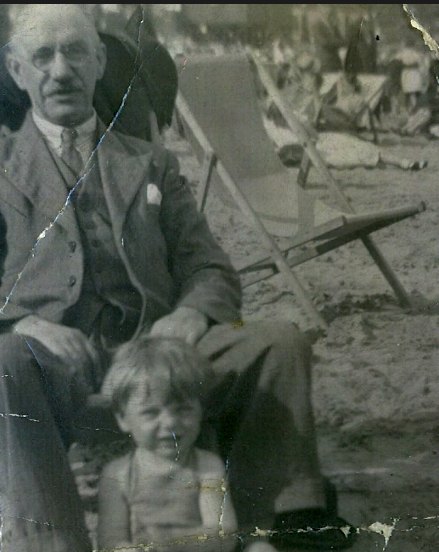 My parents met at Martin’s Bakery, and my father, John Ross, was in a store keeper position and my Mum set up pastries on big wooden trays for delivery by truck and came to my father’s attention because he was always having to fix her mixed up orders. They married in 1933 (on Bastille Day, 14 Jun). Daddy was 33 and Mum 21. My Dad played for the Martin Bakery Lawn Bowling. 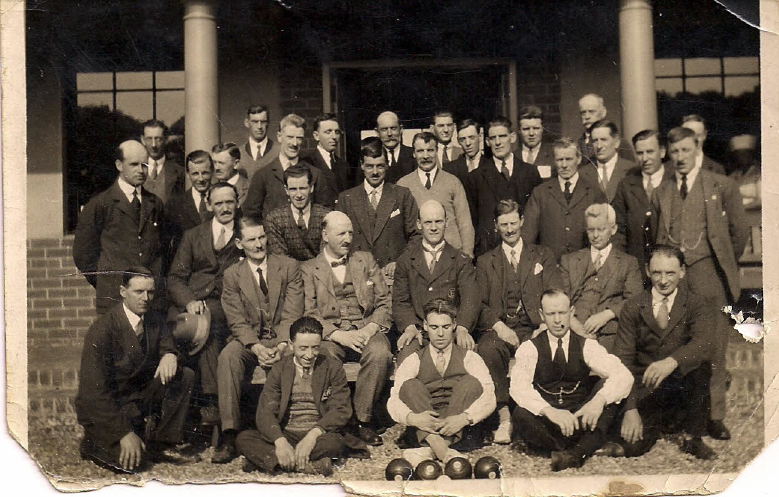 My Dad is in the last row…on the far right there is a tall guy by the pillar, then a guy with a good head of hair, then slightly in front of him is a man with a square jaw, then the 4th guy, with a side part and a thin, longish face, is my Dad. 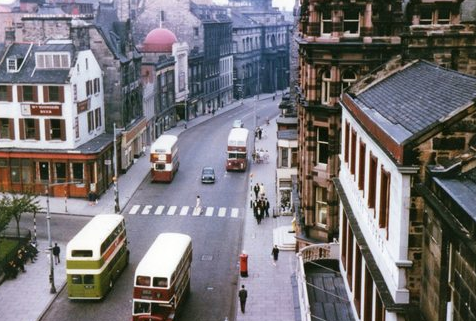 My Dad took a job managing Charlie Stewart’s Pub right behind Edinburgh Castle after that, until we left in 1952. It was really old, with church pew type seating with graffiti chiseled into the wood that dated back to the 1600 and 1700’s, sawdust on the floor, and a tiny fire that gave no heat. I was so disappointed when I went back to Scotland at age 17 after High School graduation, and had my cousin Nisbet Connolly take me there. It had suffered a renovation, had plastic seating in orange, with gold sprinkles in the plastic, and linoleum on the floor. Totally ruined! But it was torn down and a government social security building put up in its place thereafter. We used to get a lot of customers (actors/actresses) racing down between acts on stage at the Palladium for a quick snort. Maureen, now grown up, in the Fresno, California, U.S.A.
Patrick John Whelahan b. 1882, died Nov 21, 1959 in Longmore Hospital, Edinburgh, buried Mt. Vernon. Married Jun 30, 1910 to Margaret McGinness at S. Columba’s Church. Children: Michael Joseph Whelahan, b. 1912,d. 23 Dec 1941 during WW II in North Africa His wife was Margaret Ashe McKeon (aka Daisy), they were only married a short while. Patrick’s second child, Patricia Whelahan, b. 1917. Patricia married Dr. Ronald Kennedy 1939 in Edinburgh. Child Ronald Kennedy, b. 1945. Michael Whelahan, b. 1889, educated Blairs 1905-07, ordained Catholic Priest in 1917, Our Lady of Perpetual Succour in Kikcaldy, 1912-1914; Haddington 1924-25; Armdale 1925-32; Cowdenbeath 1932-36; Lennoxton 1936-49. Died Lourdes 11 Sep 1949. Isabella Whelahan, b, 1891, d, 6 Oct 1940 of TB. Relationship with Charles Campbell, Blacksmith, date unknown, one daughter, Agnes Campbell, who was a school teacher, who also died from TB. Elizabeth Whelahan b. 1894 died Edinburgh, died about 1977. Kathleen B. Whelahan,b. 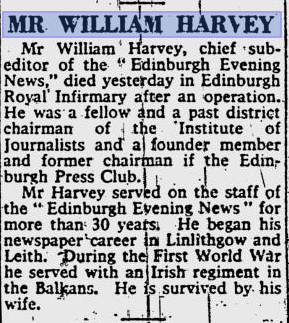 1897, married William Harvey, Sub Editor, Evening News, 26 Jul 1933, died 1993. 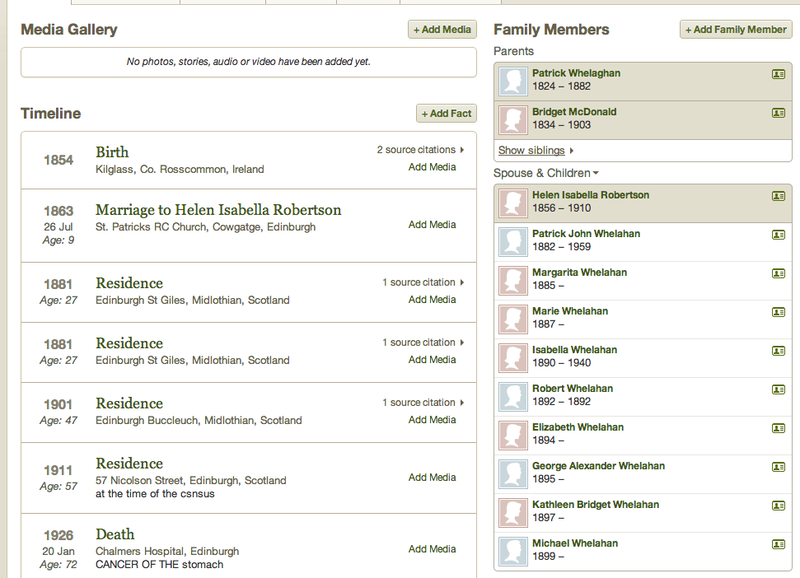 Hi Helen – I have found references to Isabella Whelahan on the marriage of Isablla to Chas Campbell in 1914 (he was a protestant and they were married at a registrars…horrors to the family) and Agnes Campbell being born in 1915. Chas. Campbell served in Lovat Scouts (military) for 4 years until 1914 when he married, hen enlisted in WW1 in 1916. I don’t think this marriage “took” as Charles leaves solo in 1923 on a Canada Resettlement Scheme, to Ontario, Canada. He does indicate he is married, but shows next of kin as his father Robert Campbell. Agnes Campbell goes on to marry Peter Rice Whiston, a Scots architect of some renown, has a son, Peter Barrett Whiston, 1/1/1944 but dies of TB in 1945 (her mother, Isabella, also died of TB in 1940). What became of the son is unknown. Peter Rice Whiston went on to marry Kathleen Moran Parker, an R.N., and had 4 other children. He died in the 1990’s. Thank you Maurren once again. I will get back to you on your e.mail. Great news that you have found out this information on Isabella whelahan. I will have to get my tree out to absorb all this information. Great to hear from you again.